Temily (designed by Kathy Dykstra) from AS&E #80 is a pattern that has been on my "want to do" list for a long time. Now it will move to my "I want to make more of these" list. It came out as cute as I hoped! This is for Ella's Christmas present. After I made the Izzy Color-me Dress, Ella's Mom told me she doesn't like dresses. I still wanted to smock something for her while she's little, though. She will be 3 in a few weeks. This beautiful strawberry print is by Fabric Finders and I got a great deal on a yard of it on ebay. I mis-cut, not once but twice! so all I have left now are scraps. 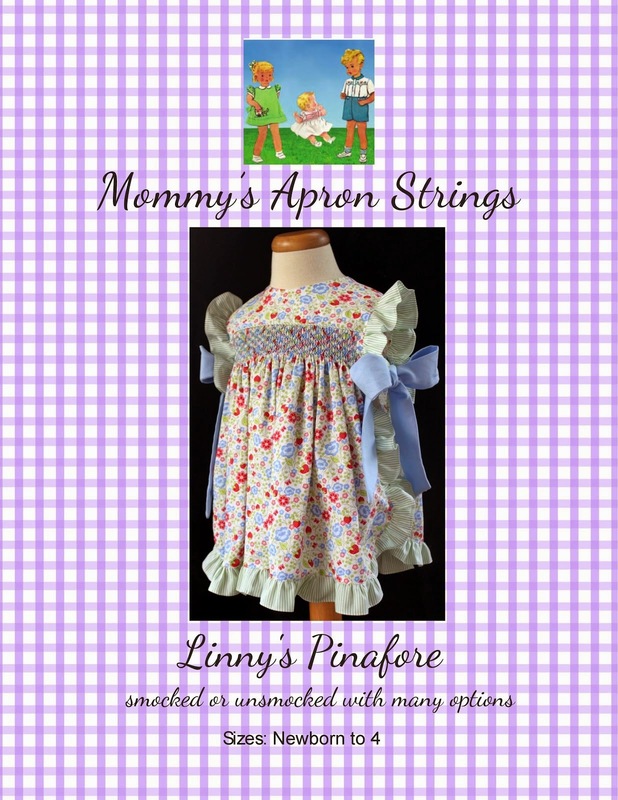 I had the pink piping in my stash from a grab bag of piping, but I didn't have any matching fabric for the ruffles. 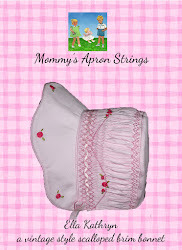 I had 100% cotton gingham, but I hate to use that on ruffles because of the "ironing factor"! So, I ordered the gingham from Fine Stitchery- the best prices anywhere! I smocked a flower, but my girls laughed at it. I know it is a bit lop-sided: I don't know what happened! I bought the leggings and hairbow at Walmart and they co-ordinate with the strawberry fabric perfectly, but I don't think they go as well with the pink micro-check. What do you think?? The neckline has an elastic casing, which is easier and quicker to sew than a bias neckline and makes it a comfortable pop-over top. I just can't say enough good things about this pattern- definitely "do-over" worthy! !